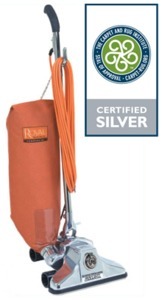 *Commercial orange zipper bags with top-fill bellows are standard on all commercial metal uprights. Orange denim shake-out bags with top-fill bellows are available at the same price. Please specify when ordering. Additional bag options are available.